E-commerce is a process by which sellers and consumers sell and buy goods and services through an electronic medium, primarily the internet. An automated chatbot has the ability to transform your e-commerce platform from others by delivering world-class customer experience and satisfaction with an personalized purchase experience for consumers. An intelligent chatbot can handle multiple user requests at a time and thus improves sales. An intelligent chatbot platform creates a dynamic communication experience with users and acts as an initial touch-point between brands and buyers. E-commerce bots aid in boosting customer engagement round the clock by offering users a meaningful assistance as and when required. They also help shoppers in searching products and answer their each and every product or purchase related query. An interactive marketing strategy is a must for an e-commerce company to generate quick responses to users’ queries and boost their digital engagement. Being an extensive range of customers, manual individual monitoring is also not possible for any commerce. And other major issues are cost-cutting as well as sending alerts on latest offers to drag new audience and retaining the existing ones. Increase digital engagement of customers, improve branding image and multiply your sales with ChatinBox! Being a conversational virtual assistant, ChatinBox responds to every conversation in such a personalized way that customers feel like they are talking to an executive. Also, ChatinBox saves the history of buyers in order to suggest them more of their interest. Delayed responses may leave you behind and you can miss out on your potential customers. ChatinBox helps you to respond your customers instantly by giving them a personalized experience through text or voice chat. ChatinBox acts like customer service or sales executive, and this automated messenger solution performs 24/7. Hence, it helps brands to save their cost required to spend on customer care plus the round the clock facility generates responses to customers with zero time lag and thus increases profit. Coupons and Discounts are something, which almost all buyers seek for. Searching coupon or discount codes on website can be tedious sometimes for shoppers and thus brand may lose a good potential purchaser. 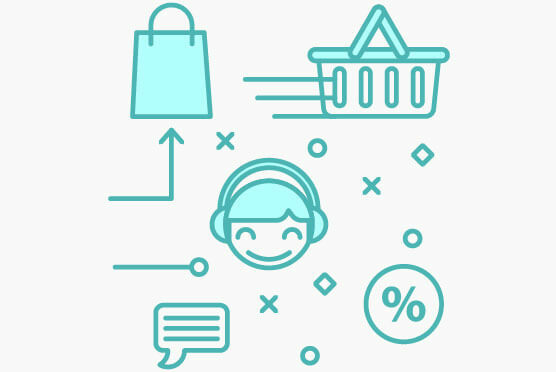 ChatinBox set up a personalized conversation with consumers describing them all latest discounts.